Robust and stylish! 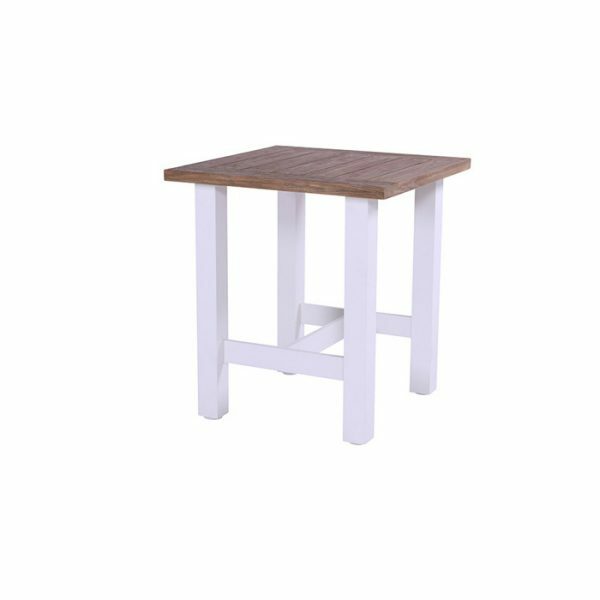 We also call this Sophie bar table the ideal partner to enjoy the balmy summer evenings. 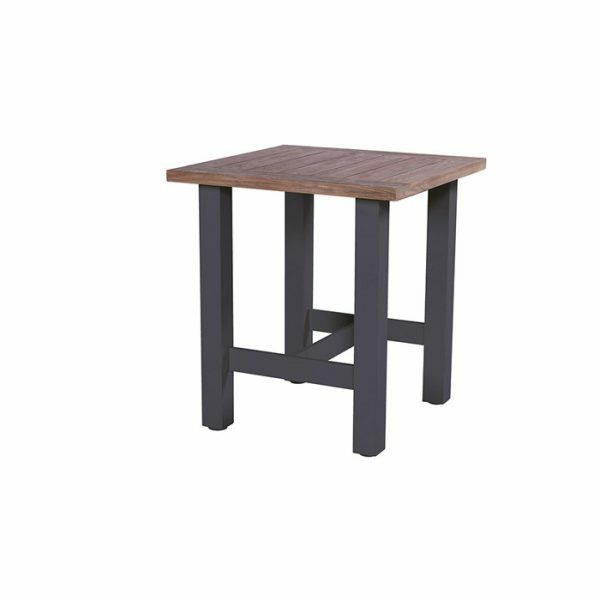 The robust top of this table is made of teak. Teak has a natural appearance and is a durable material. 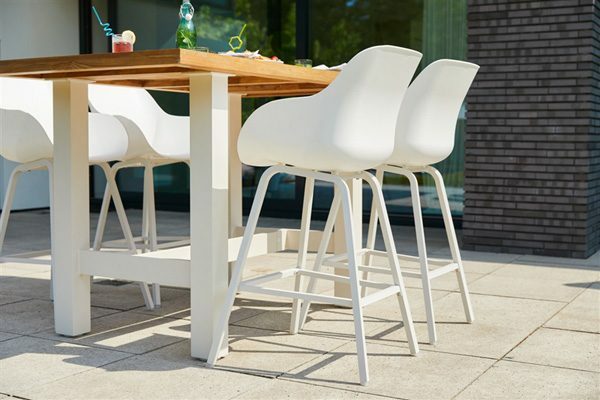 You can leave the table outside all year round and the top will get a silvery gray glow. Would you like to keep the natural color? Then you can handle the table. The frame is made of aluminum and available in the colors white, gray or black. Which color fits best in your garden?